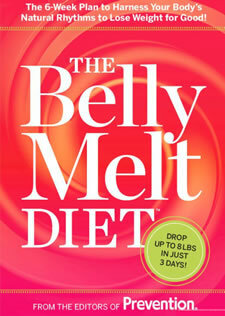 The Belly Melt Diet was created by the editors of Prevention Magazine. They claim that this diet will quickly reset your hormones to help you melt away fat on your…. It also claims to dissolve the hidden, toxic visceral fat that has been associated with heart disease and diabetes. The authors claim that you can lose a lot of weight fast on this plan. They assert you can lose up to 19 pounds in just 35 days while you enjoy nutrient-packed foods. The Belly Melt Diet begins by explaining how the obesity epidemic is related to recent changes in our diet and lifestyle. In particular it highlights how too much nighttime artificial lighting disrupts our sleep patterns and promotes weight gain. By controlling your exposure to light you can restore the natural balance of your hormones and gain control of your cravings. 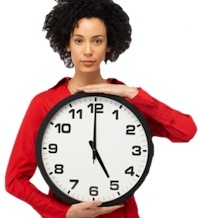 You will be taught how to reset your food clock so you can easily lose weight without experiencing hunger and cravings. As you change your diet and eat more nutritious foods your hunger hormones will naturally come into balance. Female readers will also learn how to reduce the fluctuations related with the menstrual cycle to enhance fat-burning and boost metabolism. The first phase is called the Anti-Bloat Jumpstart. It’s designed to instantly reset your hormonal rhythms. It involves a four-day diet that will reduce bloating that can be related to eating heavy foods, gas or acidity. In this phase you will eat four meals a day that provide a total intake of 1200 calories/day. Phase two is the Four-Week Eating Plan. Here you are allowed to increase your calorie intake to 1600. Every meal must contain a food that is high in monounsaturated fatty acids. Salmon, shrimp, chicken, turkey, lamb, eggs, fat-free Greek yogurt, cheese, whole-grain bread, quinoa, lentils, hummus, spinach, mushrooms, lettuce, tomato, broccoli, kale, banana, berries, pineapple, grapefruit, sunflower seeds, almonds, pistachios, walnuts, pine nuts, flaxseeds, avocado, dark chocolate, olive oil, canola oil. The Belly Melt Diet introduces Perfect Timing Workouts, which are based on the latest research into chronobiology; the study of body rhythms. To burn fat more efficiently you should do cardio exercise within half an hour after waking up and before breakfast. Ideally aim to get outside and enjoy the early morning sunlight. It is also recommended to incorporate strength training into your routine. The best time to do this is between 4 and 8 pm because it is easier to build muscle at that time of day. This can provide you with greater fat-burning benefits throughout the day. The Belly Melt Diet (TM): The 6-Week Plan to Harness Your Body’s Natural Rhythms to Lose Weight for Good! retails at $25.99. Includes a meal plan with over 100 recipes, including familiar “comfort foods”. Encourages consumption of healthy fats, which improve lipid profile and reduce the risk of cardiovascular disease. Offers solutions that may provide relief from premenstrual symptoms. The jumpstart phase promotes rapid weight loss results. Acknowledges the importance of adequate sleep for weight loss. Encourages unrealistic weight loss expectations. Body fat will be lost over the entire body and the diet cannot promise spot reduction on the belly area. Initial weight loss will be primarily water weight. Necessary to count calories and monitor portion sizes. This program offers information about how to balance your hormones and restore your body’s natural rhythms for easier weight loss. It also provides a calorie-controlled meal plan with satisfying heart-healthy recipes. However, readers who are hoping for a quick-fix method for losing belly fat may be disappointed. The diet is unlikely to have any dramatic belly-fat melting abilities. Weight loss that occurs on this program will be primarily due to the reduction of calories and increase in physical activity.